Tired of visiting the same old café’s with their generic lattes and cookies? Hopped across most of the pubs in Bangalore and in search of your next surprise drink? Or are you simply trying to get away from the city, choc-a-bloc with people and vehicles? 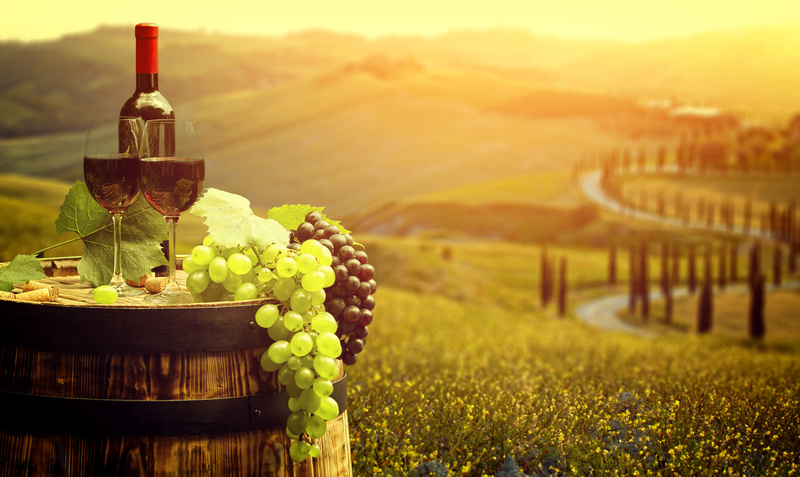 Look no further, these wine tours promise to satiate your senses, be it with a romantic date or a group of friends wanting to have fun. The best part is, they cater to all budgets, and they are all located in Bengaluru! 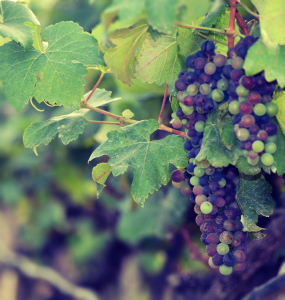 The following are the Vineyards in Bangalore, offering everything from a guided Wine-Tour and Wine-Tasting to a tour of the Vineyards, Grape-Stomping, food and even overnight stays. They are listed in increasing order of budget, starting with the least expensive tour. 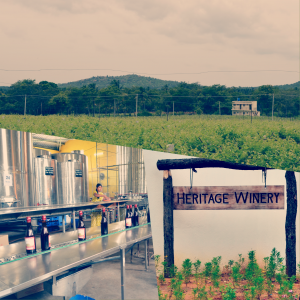 In the first part of this article, we will cover the Heritage and Kinvah Vineyards in Bangalore. This Vineyard is near Channapatna, the Land of Wooden Toys. It is nearly 70 km from M.G Road and is around 3 km off the Bangalore-Mysore highway. This is the least expensive Vineyard Tour available in Bangalore, and is the perfect start for someone willing to experience their first wine, and understand how wines are made. The tour is basic, but it covers all aspects of wine-making. For the Wine-Tasting, you will be provided with 5 Wine varieties in their ‘Tasting Room’.The tasting notes and basics would be covered by the Wine-Expert there. The Wine-Maker is knowledgeable-enough and makes the Wine-Tasting Experience worth it. While the Wines at Heritage are certainly not the best out there, they are super-affordable and ideal for students and beginners alike. They also have an in-house restaurant (Epulo), where you can have food à la carte, or have a 3-course meal as part of the package. Honestly, the food here is just about average, and if you are not very hungry, it can be given a miss. They also have vats for Grape stomping, if you are so inclined, and that costs extra (INR 500). The Heritage Twist: Carbonated and fortified, this is like a fizzy-grape version of colas. This vineyard is notoriously hard to find. Search for it on Google maps and you will be re-directed to it’s Nandi-Durga Road office. It is actually located in the Yelahanka Hobli area, around 3 km from MVIT College, the nearest landmark. The distance from M.G Road to the Vineyard is approximately 30 km. The winery tour is decent and the wine-maker is ready to answer all your questions. 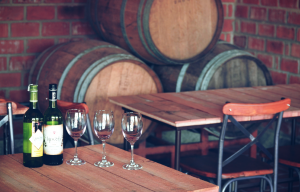 The best part of this wine-tour is that you get to choose the wines that you want to taste, and the quantity that they serve is more than adequate for the average wine-consumer. Overall, this wine-tour scores high on hospitality. Kinvah Brut: A lovely dry sparkling white wine with Chenin Blanc and Sauvignon Blanc, this is a light, crisp and fruity wine with a lower level of carbonation, when compared to other sparkling wines. This is the perfect drink for celebrating occasions on a budget! Kinvah Manthan: An interesting blend of four grape varieties (Merlot, Zinfandel, Shiraz, Cabernet Sauvignon), this wine will surely flummox your guests with it’s intense ruby color and burst of fruity flavors. 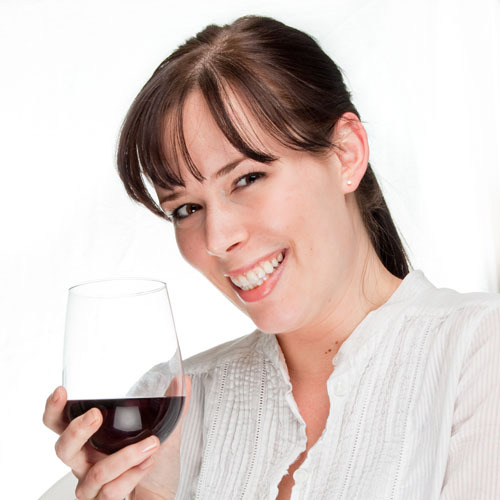 While these vine tours are more for beginners, they are easy on the pocket, and do not require any background on Wines. Stay tuned, as we cover the Grover and Bangalore Soma Vineyards in the concluding part of this series. Here is the link to the next article.